Drake just seems to be on the wrong side of history in regards to sports. Clemson and Alabama are no strangers to the National Championships as they've met in the championships four seasons in a row. Both teams have gone the whole season without a loss, but Alabama had the first seed due to winning the championships last year. Most people predicted that Alabama would take the championships due to Clemson's freshman quarterback and the fact that they won last year. At first, the game was intense as the lead changed multiple times in the first quarter, but Clemson kept on piling on the points ending the game with a score of 44-16. The championship was expected to be a close game as the winner is usually decided in the fourth quarter, so what went wrong for Alabama? Twitter was quick to blame rapper Drake for the loss. Here's a little history about the "Drake Curse." Many sports fans have noticed a pattern behind all the teams Drake supports. Regardless of what the sport is, bad luck follows teams that Drake supports. The first victim of the "Drake Curse" is the Toronto Raptors. Supporting the home team is no surprise and Drake can be seen watching courtside. He even became a global ambassador and ever since he did, the team has not done well. During a time of rumored dating, Drake was seen supporting Serena Williams at the US Open in 2015. Serena was the three-time defending champion and was expected to win again, but upsettingly lost in the semifinals to Roberta Vinci. Another notable victim of the curse is Connor McGregor. Drake was present supporting McGregor at his weigh-in for the UFC fight between Khabib Nurmagomedov and McGregor. History repeats itself as McGregor is defeated by Khabib. The most recent victim is Alabama Crimson Tide. 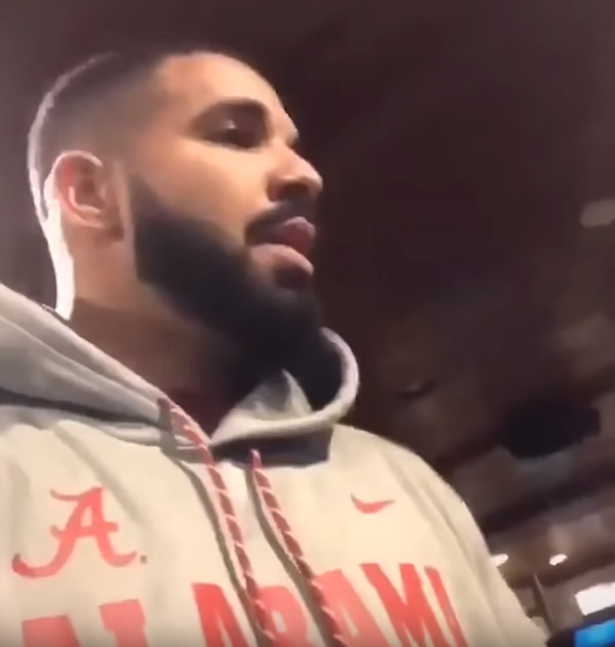 Everyone was quick to blame Drake for the unexpected loss as a video of him in an Alabama hoodie surfaced. Even Clemson acknowledged Drake by tweeting at him to get a Tigers shirt. Drake just seems to be on the wrong side of history in regards to sports. Although the curse may just be a bunch of coincidences, let's just hope Drake doesn't have your favorite team's jersey.